The exterior of the Fairfield is finished! (Well, mostly.) 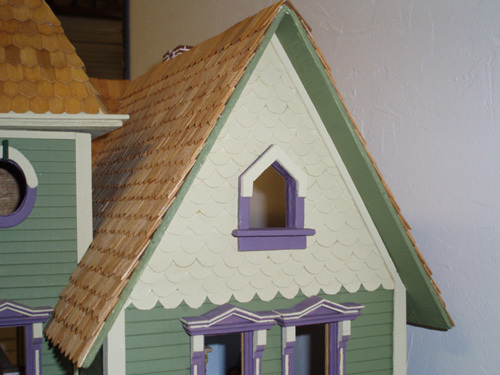 Take a look at the fishscale shingles and finished sections to see the latest pictures. I’ve also posted some pictures of my mini workshop in the garage of our new (life-sized) house, and my long sought-after Tomy Smaller Homes dollhouse.